Limited numbers: This is a re-designed re-release of the classic Storming through in '82 HDT Commodore t-shirt, which formed part of the Peter Brock merchandise and vintage range of holden dealer team t-shirts. 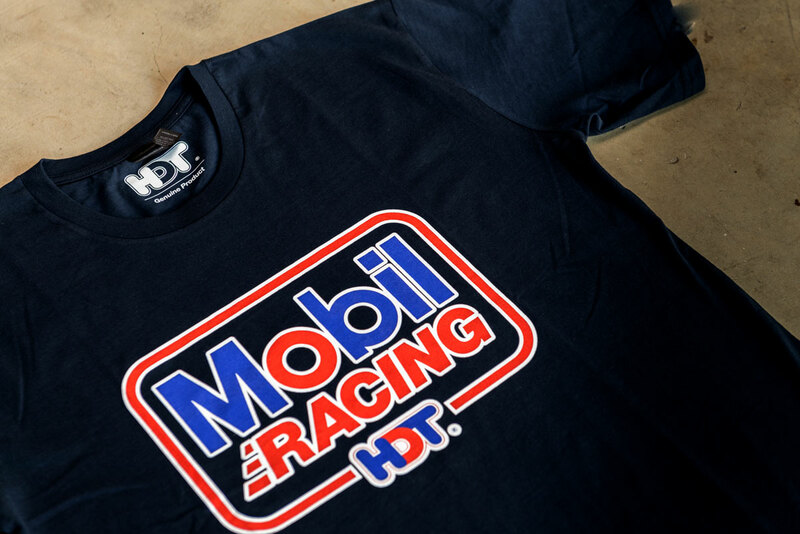 Note: This is a grey t-shirt. 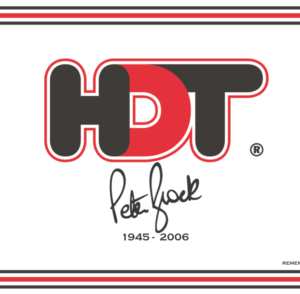 We have removed the "Marlboro" HDT branding for legal reasons. 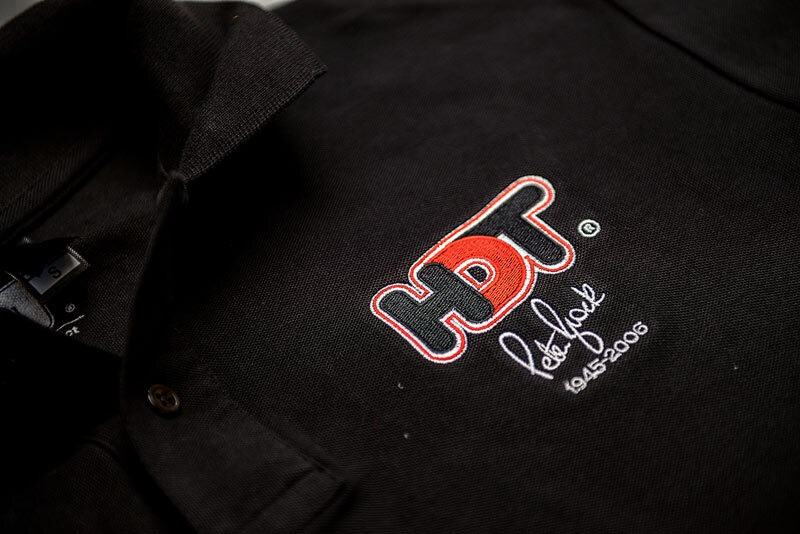 This is re-designed to comply with tobacco legislation. 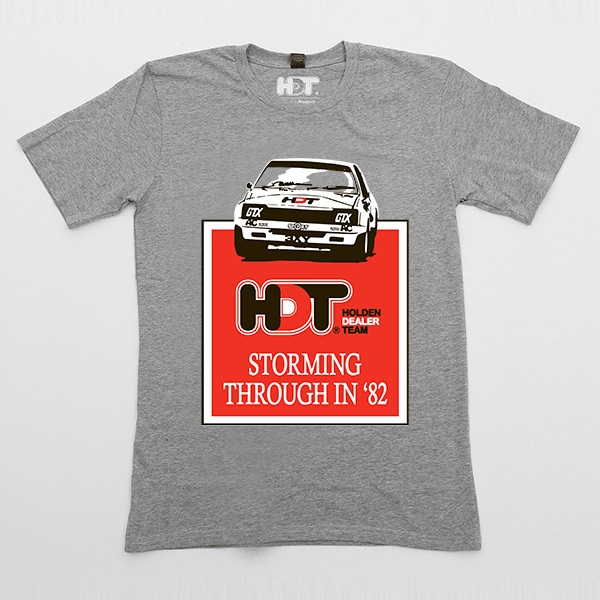 Note: This t-shirt is on a grey marle tee for classic vintage look and feel. 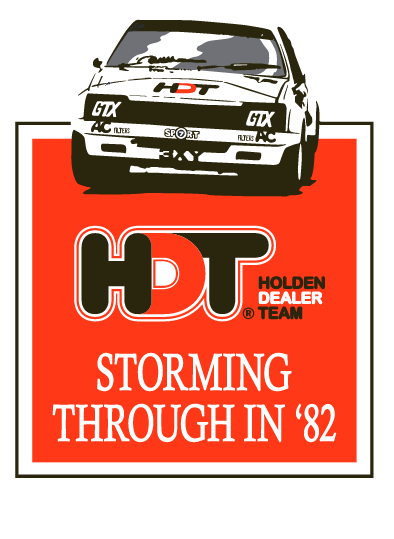 Storming through in '82 HDT Commodore t-shirt re-release. 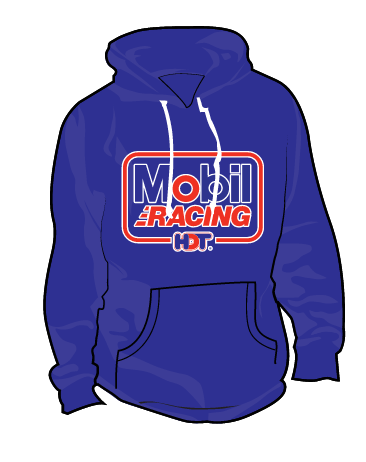 Re-designs vintage peter brock merchandise. 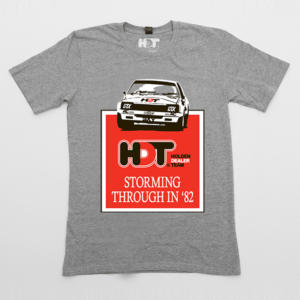 $22 Christmas Pack: Storming Through in ’82 Tee + Brock Memorial Flag Just $20!